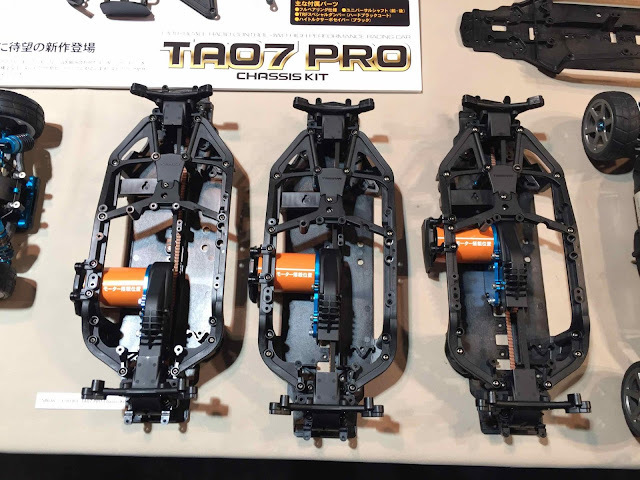 Here are two photos of the soon to be released Tamiya TA07 pro. 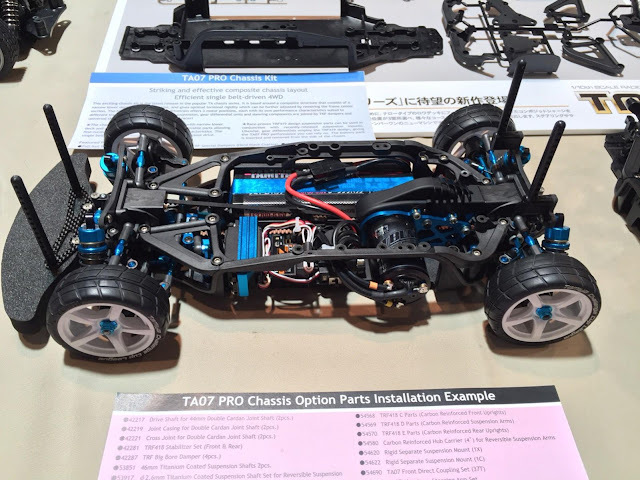 The first one shows a fully hopped up car, and you can notice that there are quite a few parts that are compatible from the TRF418/419 cars such as the servo mount, stabilizer kits and bumper mount. 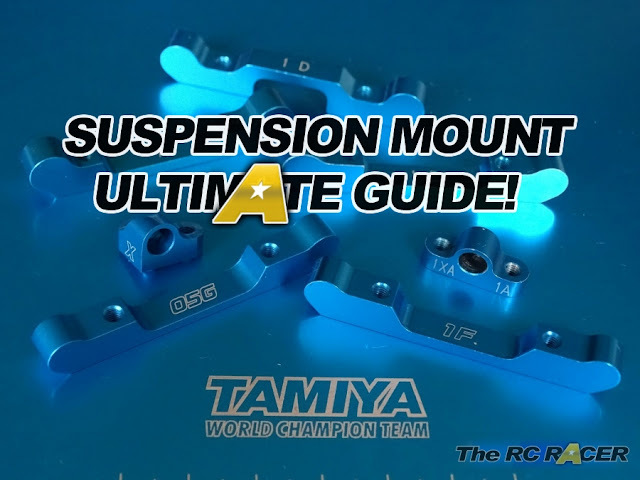 The chassis comes equipped with the latest 419 gear diffs front and rear along with bearings. This next photo shows the different motor positions that you can set with the clever single belt design. As you can see these positions are very drastic and they will make a noticeable difference in the way that the car handles. Very cool indeed, I think this car could be pretty interesting as a club racer if the price is right.